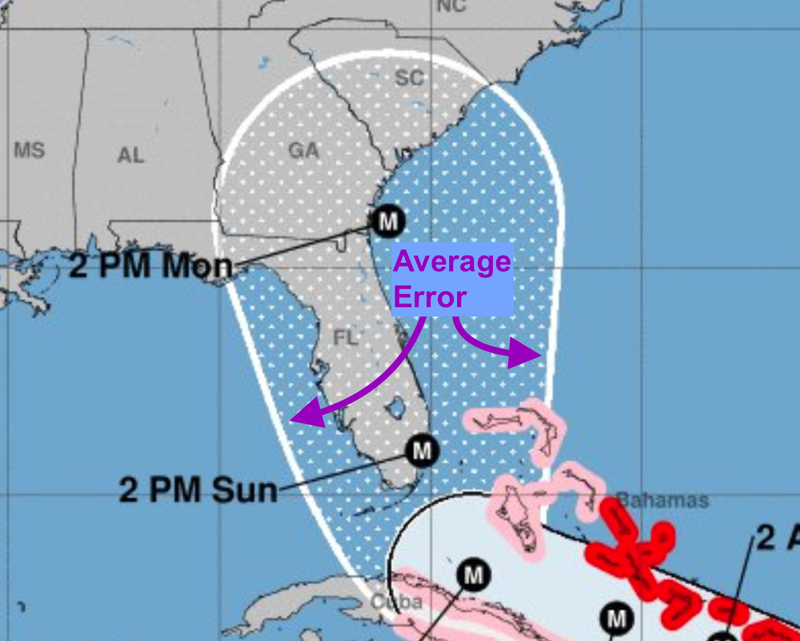 The thick white lines are the average errors NHC's forecasts of the hurricane's center at 96 and 120- hours, so it would be expected that the "M" (= major hurricane) could be anywhere between those lines. 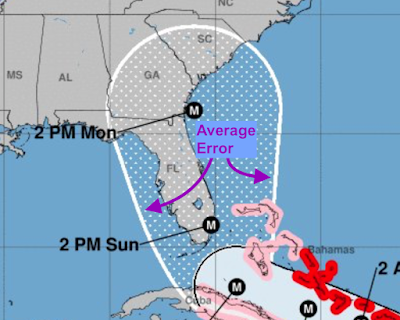 That said, there is a pretty fair amount of data that indicates Hurricane Irma will pass over southeast Florida. NHC is also forecasting sustained winds of 145 mph at that time. Please see my comments below which is based on my forecast which was very similar to theirs. I cannot overemphasize that if an evacuation is to be ordered, I would leave if I was a resident of the evacuation zone.